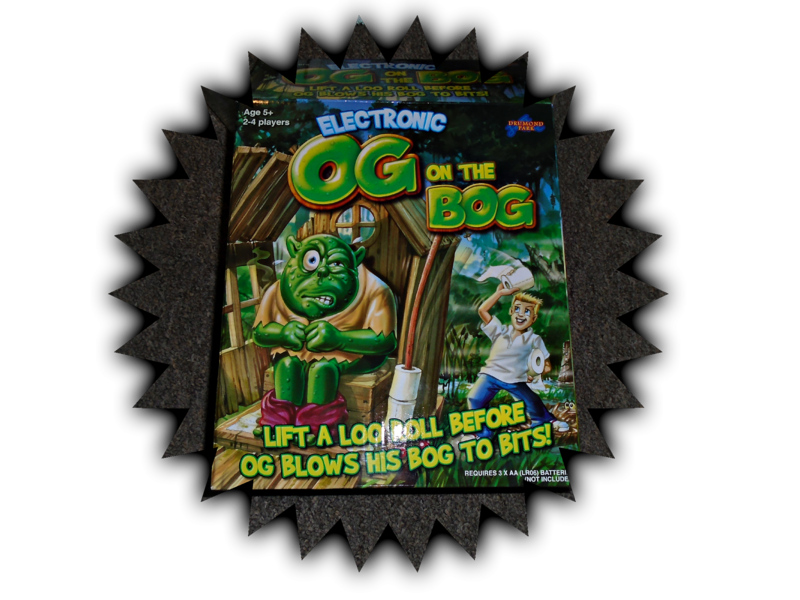 Og On The Bog Game **REVIEW** and Giveaway! Og on the Bog is a new tongue-in-cheek game from Drumond Park. 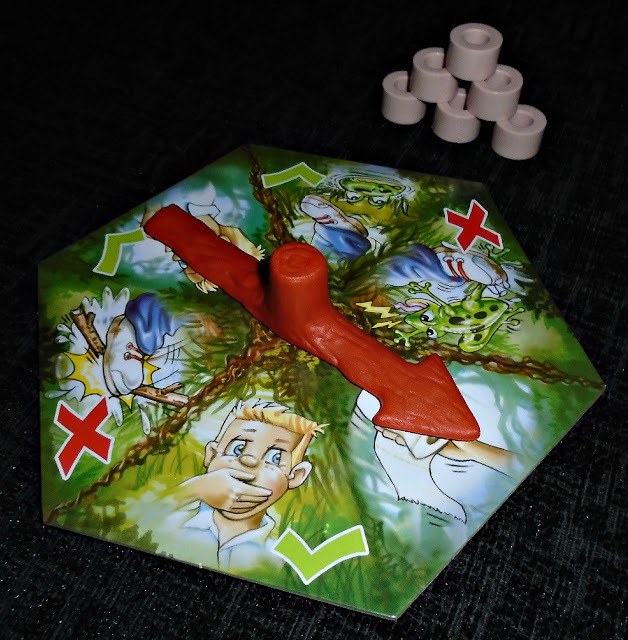 A completely outrageous children’s game perfect for the whole family to play, where adventurous players are creeping up on Og while he sits on his bog in the forest. The aim of the game is simple, you have to try and steal Ogs toilet rolls without him noticing. You use the tree trunk spinner provided and each player has a spin to take their turn. As you spin you will hear Og in his Bog making all sorts of crude noises including burping and farting. Each player takes a turn and what you do during your turn depends on what the spinner lands on! If it lands on the "red cross" it means you have been to noisy and have disturbed Og, you miss a turn this time. When the spinner lands on the hand holding the loo roll you get the chance to pinch a loo roll of another player! If during your turn the spinner lands on the green tick you get the chance to steal a loo roll from Og! But you must remember to push down the toilet step first and be sure to be quiet because if he hears you or feels you stealing his loo roll his Bog will explode! The winner is the first player to successfully get 3 or 4 loo rolls (depending on the number of players). 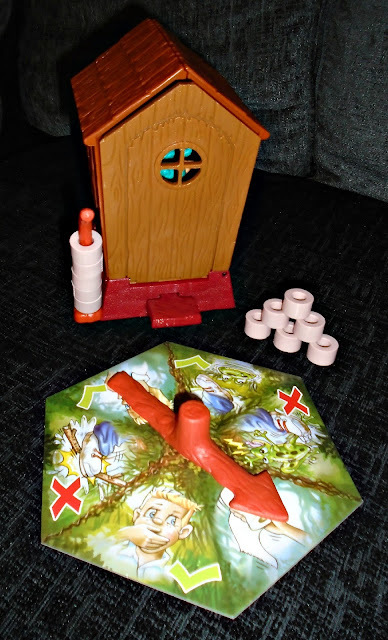 Og on the Bog has been a big hit in our house and it has definitely provided plenty of giggles and laughs for all the family. The game is aimed at children aged 5+ and I think this is definitely the right age range and something my son who is 6 and his friends will have lots of fun playing, however this game is very simple and so I would say with supervision would be fine for slightly younger children too. The Og on the Bog game is simple yet fun and will definitely be a game that will be pulled out time and time again. The "jump" factor adds that extra bit of excitement as everyone eagerly awaits the "exploding" bog and this makes for exciting game for all. 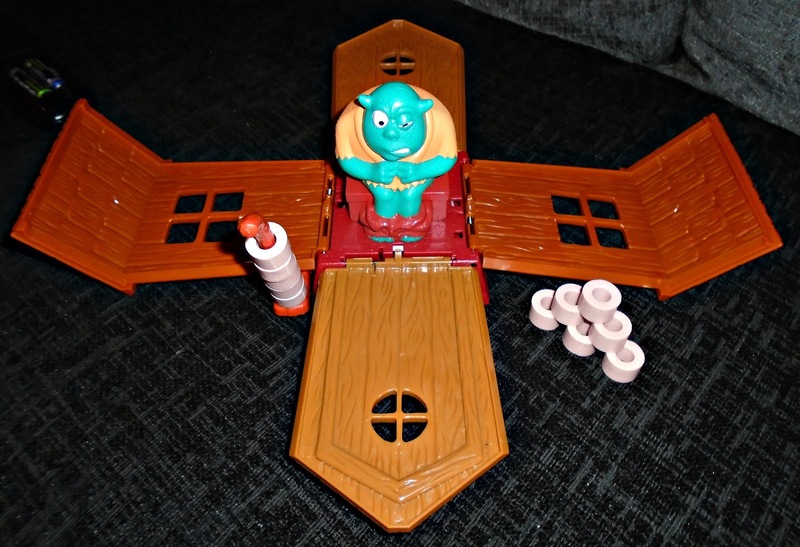 The game is easy to assemble and just requires you to clip on the loo roll holder and slide on the loo roll. You will also need to add 3 AA batteries which are not included. Then thats it you are ready to play! You can find Og on the Bog and many more fun games on the Drumond Park website HERE. Fancy a chance to win your very own Og on the Bog game (RRP £22.99)? Then simply enter our Rafflecopter giveaway below. Monopoly is always fun and dinobite. Dino Bite looks a lot of fun! My son likes the advert for Dino Bite and really wants it for Christmas! We already have the BBQ party game... and we love it. I think my kids would love Dino Bite! Cluedo - it's one of our favourites! Rapidough :) Though hard to choose, they make a lot of great games! Dino bite looks like lots of fun!